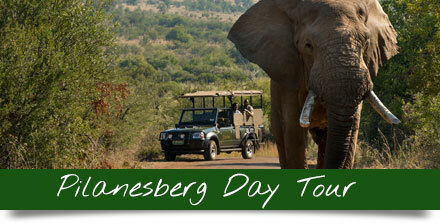 Guests can venture into the wilderness of the Pilanesberg Game Reserve in their own vehicle or join a guided game drive. 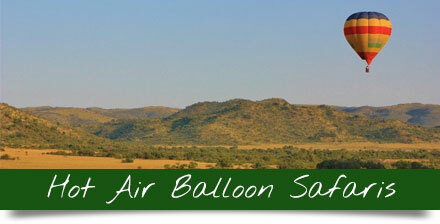 Pilanesberg is home to most of Africa’s big game including the Big 5. 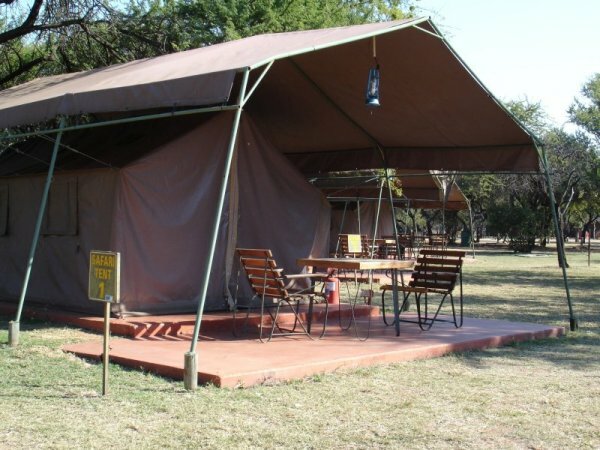 Hiking trails depart in the early morning and are led by an experienced guide. 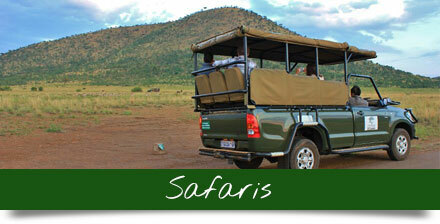 Game drives depart in the early morning and late afternoon. 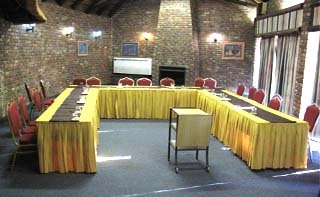 Tribal dance groups can be organized in the boma. 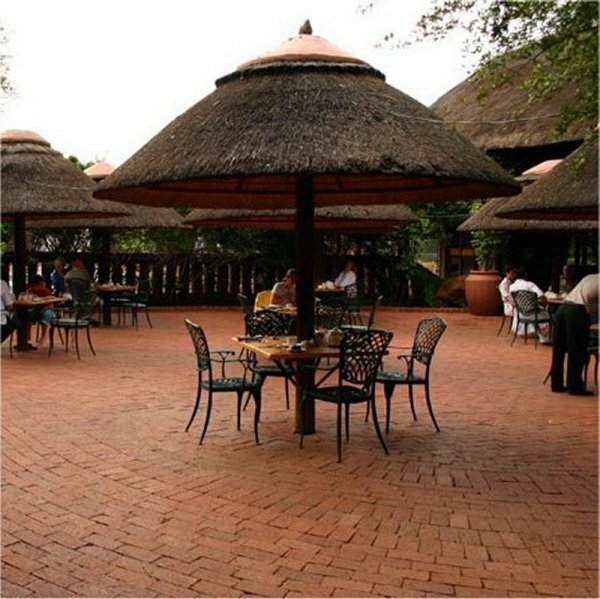 The restaurant offers breakfast as well as an a la carte menu and buffets. 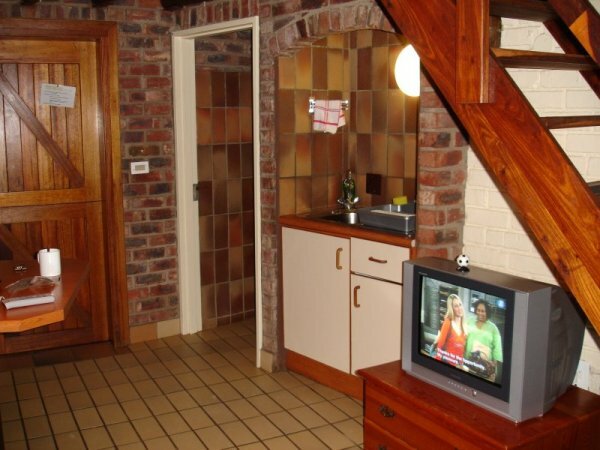 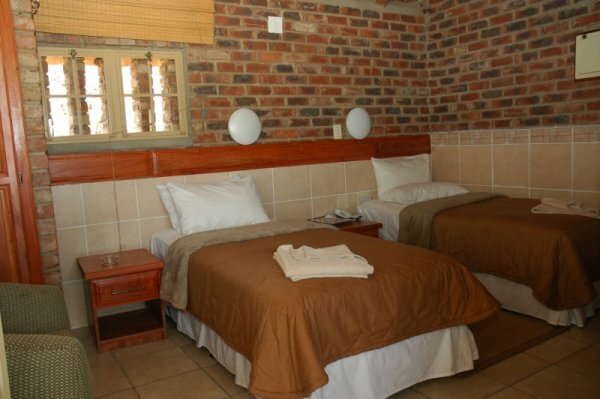 All guests have access to centrally located ablution blocks. 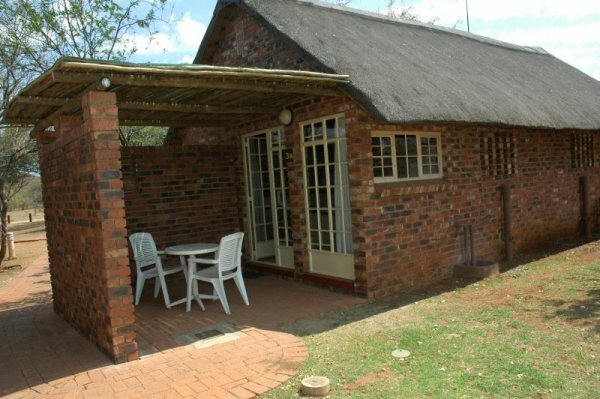 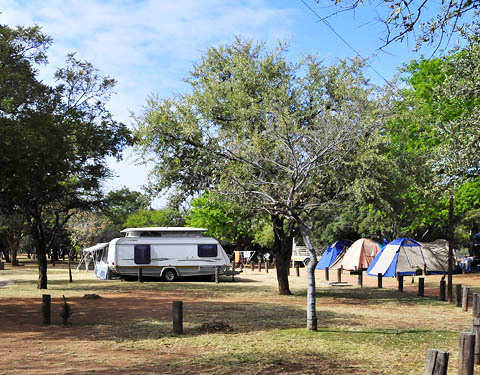 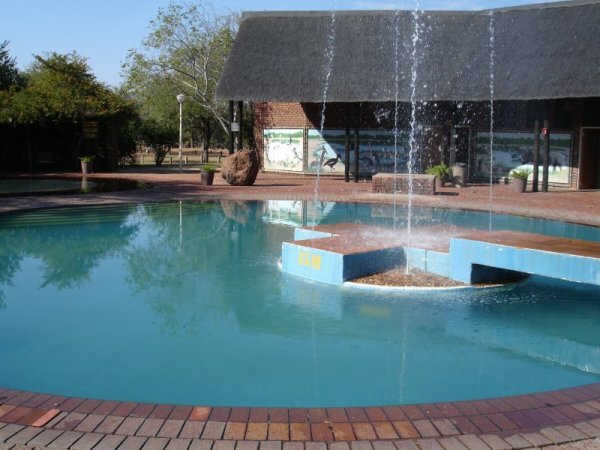 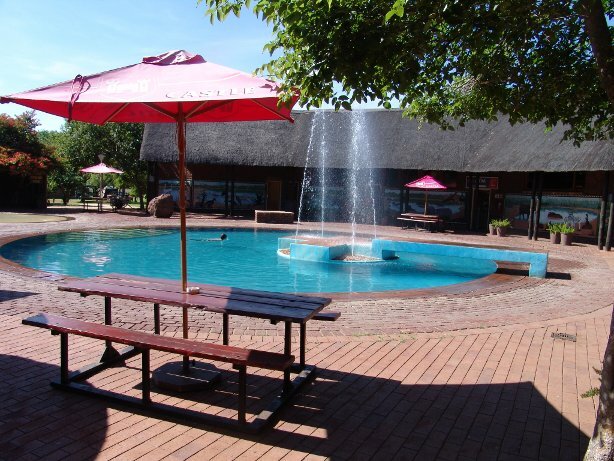 Manyane Resort is located close the Manyane Gate in the eastern part of the Pilanesberg Game Reserve. 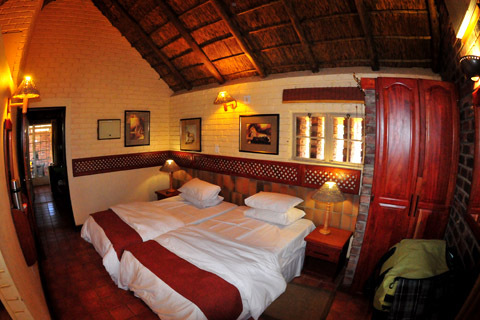 You can reach the lodge in less than two hours from Johannesburg and the glamorous Sun City is only a short drive away. 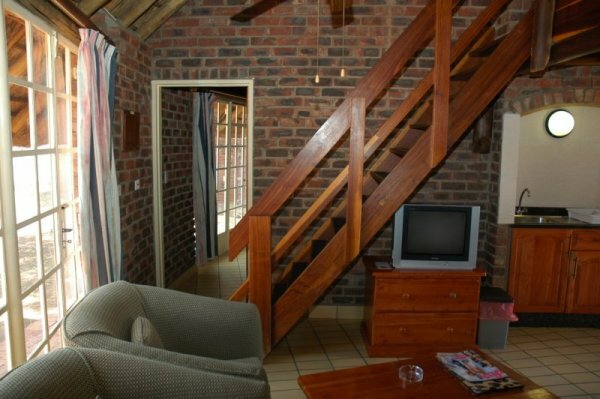 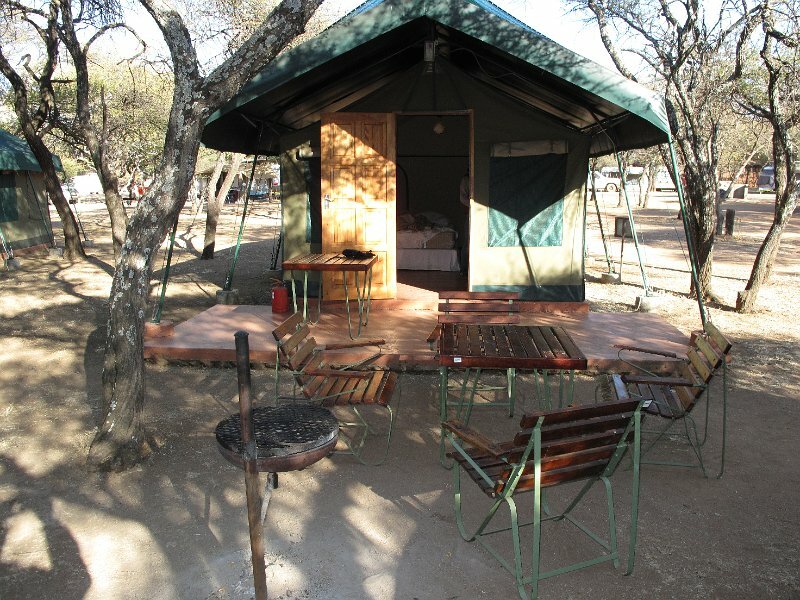 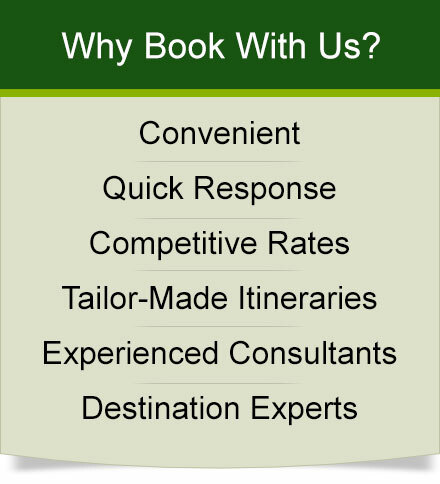 Prices quoted are per chalet or safari tent per night.